Although it is no doubt a stressful time if you’re moving from London to Brighton and Hove, it should also be an exciting time. Of course you’ll have much to plan and organise, whether it’s a house move or business move to Brighton and Hove you’re organising. Whatever your individual circumstances are, our removal carrier is there to help you relocate from London with the minimum of fuss. If you call us we can also tell you how cheap our prices are which will immediately give you one less thing to worry about. So why not call Moving Service now on 020 8746 4402 and hear how we are able to give you a quality removal service to Brighton and Hove whilst also giving you great low prices. It’s not just in terms of transporting your household items which we can help you with. We help you from the moment you call us to the moment you’re settled into your new home on the south coast. For instance we have a very popular packing and unpacking service. This service provided by our professional packers can be such a big help when you’re moving house to Brighton. We also supply packing accessories such as moving boxes, protective bubble wrap, loose fill packing chips, mattress and furniture covers plus a whole lot more. 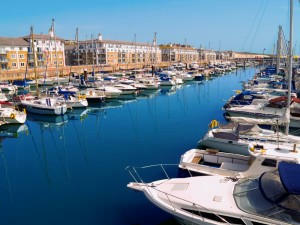 All of which means you can get everything done quickly and efficiently for your relocation to Brighton and Hove. Brighton and Hove is the name given to the two towns which lie on the East Sussex coast, approximately 55 miles due south of London. Brighton is by far the larger of the two towns and is often the name given for the area which includes both towns. Hove however is very proud of its own identity and will quickly point out it’s a town in its own right. Brighton is an extremely popular tourist destination whether it’s day trippers down from London or longer stay visitors from further afield. 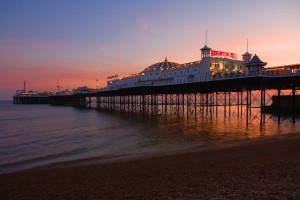 Brighton and Hove is also a very desirable area to live and has a population of approximately 273,000 people. Regardless of your budget when moving to Brighton, our removals firm caters for your personal requirements whether it’s a man with a van service you want or a removal team with a larger removal truck you need. You can rest assured as well that our removal men are not only expertly trained in all aspects of the removal business but also chosen for their professional attitude and courteous manner. If you’re also thinking about storage space or self-storage space then there’s no need to go anywhere else. As well as our storage facilities being very affordable they are also highly secure and highly recommended not just by ourselves but by previous clients who have told us what a godsend they have been. When it comes to hiring a removals company if you’re moving home or office to Brighton and Hove, give us a call before you go anywhere else. You’ll see we’re a removal company which specialises in helping people relocate from London to Brighton and Hove. All our services are individually tailored so you get the best deal and the best satisfaction in knowing you’ve hired the right removal carrier to Brighton and Hove. So give Moving Service a ring now on 020 8746 4402 and we’ll give you a free, personalised quote. When it comes to moving from London to Brighton and Hove, you’ll see we have everything you need at the price you’re looking for.